Bar-Pizzeria, Pacific Beach location, great rent, high traffic, beer and wine. 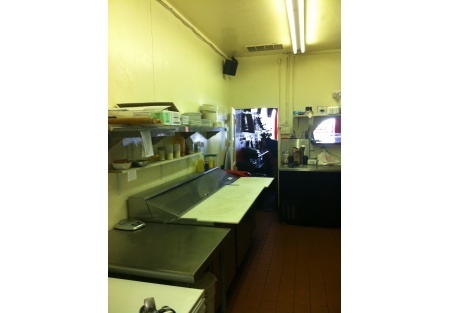 Here is a great opportunity to own a near new pizzeria and bar in always busy Pacific Beach. You want to be where the action is, this is the place. Demographics are exactly what you are looking for with this type of concept. Pizza, beer, the beach crowd and year round residents, it really wont get much better than this. Sales have been steadily increasing since the opening and will only get better as the base continues to expand and the busy season approaches. Have another idea for a beach area concept? The lease calls only for "restaurant" so bring it on. The beer and wine license is already in place which means you are well ahead of the competition. With the Pacific Ocean, the boardwalk and the whole Grand and Garnet scene as your neighbors, the sky is the limit with this local favorite. Check out the reviews on Yelp customers love it here. Owners simply dont have the time to take this prime location to the next level. Are you ready to be the full time operator that this place needs? Roll up your sleeves, get to work and get ready to watch the profits roll in. With out even trying this place has done in the 4500-6000k gross sales per week range. Total rent is only $2,090 per month. As a percent of sales you are looking in the 8-10% range, easy to see a good bottom line with a rent factor like that in place. Space is approximately 1200 square feet and also has a sidewalk dining area great for people watching. Current lease term expires in May of 2013 with a threee year option available. If you are looking for a beach area location, now is the time to make it happen before someone else buys your dream. Offered by Stone Path Brokerage Services, Inc.